Raffaello Pernici & the magical mermaid by Italian artist Arturo Pannunzio…. 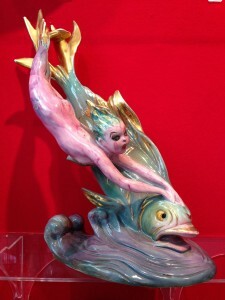 Raffaello Pernici presents a magical ceramic Mermaid in sea blues & greens at Olympia Fine Arts & Antiques Fair, June 2014. 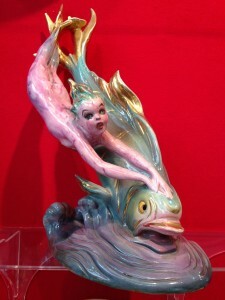 The 1930’s ceramic Mermaid by Italian artist Arturo Pannunzio (1891-1953) for VBCM manufacture founded by Vincenzo Bertolotti.